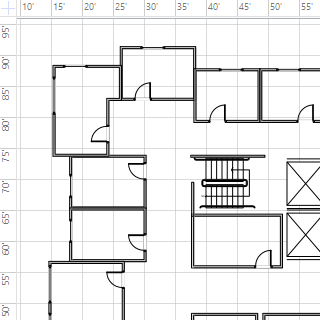 When you use gridlines in your drawing, set the spacing to help your drawing be as precise as you need it to be. To turn on gridlines, click View > Show > Grid. On the View tab, click the Show dialog box launcher . 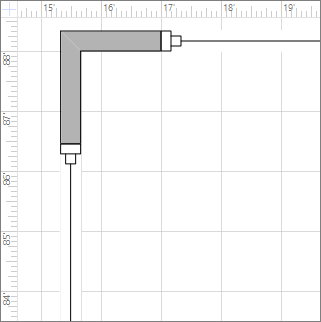 In the Ruler & Grid box, under Grid, in the Grid spacing lists, click Fixed. Enter the spacing distance that you want into the Minimum spacing boxes—the fixed grid won’t work without a number entered for Minimum Spacing. For a variable grid, at Grid spacing, in the Horizontal and Vertical lists, click Fine, Normal, or Coarse. Fine is the smallest grid spacing. 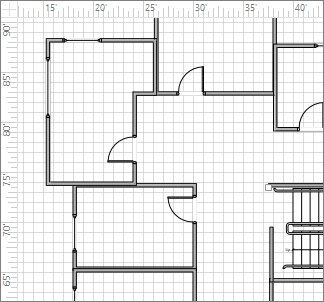 Most of the templates in Visio use a variable grid by default. 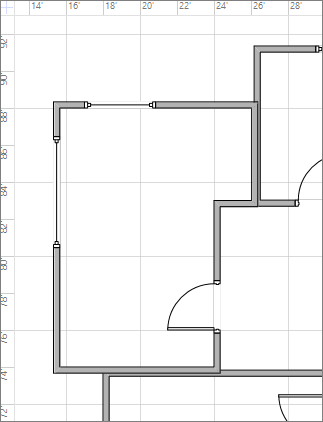 This means gridline spacing might change if you zoom the drawing view. For example, these gridlines are set at Normal, and when zoomed out, appear 5 feet apart. However, when the view is zoomed in, they appear 1 foot apart. For some drawings, it might help you to have a fixed grid, which means the grid shows the same spacing regardless of magnification. 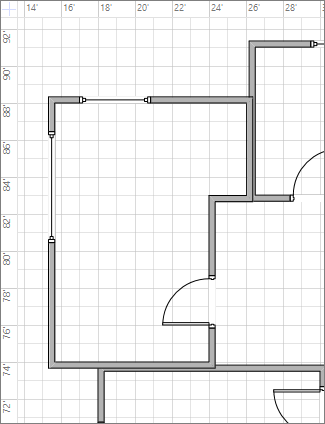 For example, with a fixed grid and Minimum spacing of 1 foot, the gridlines show 1-foot squares no matter how far in or out you zoom the drawing view.